“You’ll understand when you have kids.” Before I had a child, I thought this was an all too convenient excuse for lazy parenting. 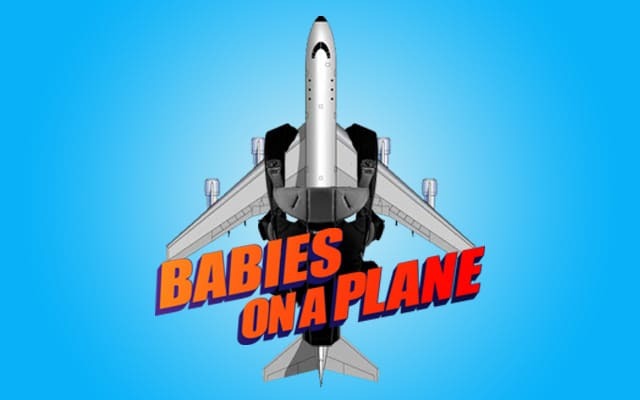 Now that I have a young son, I tested this refrain in one of the most trying situations for a parent – airplane travel with an infant. I’ve never been a huge fan of air travel. I love traveling, but being squished into a metal petri dish for hours has never been the highlight of my trip. But the worst part of air travel has always been the bad luck of being seated by a screaming infant or a young child with unruly behavior. That being said, I was apprehensive about bringing my son on a flight, by myself, to visit family in San Francisco, while I attended a conference for work. The morning of the trip, I arrived at the airport about an hour early for the flight. John Wayne Airport is relatively small, so in my experience, I had plenty of time. However, thanks to “The Great Sequester” and the furlough of federal employees, the TSA security line was immense. I cursed myself for not paying attention to the news that day because now making my flight would be a crapshoot. My anxiety grew as the time left until wheels-up ticked down, and Rocco – unaware of my angst- hung patiently from my chest in his Bjorn. Even as I ran down the long corridor to my gate, down the tarmac, and onto the plane, with literally five minutes to spare, my boy was relaxed as could be. I was the last person on the plane. I flew Southwest Airlines, so even though I was fashionably late, I had my pick of any seat I wanted, as long it was a middle-row seat. Making our way through the plane, I noticed faces cringe, legs squirm, and swivel; people avoiding eye contact, hoping to save themselves from me choosing the middle seat next to them. I remembered how I had acted exactly the same in the past when I saw people with infants boarding, hoping they wouldn’t pick a seat next to me. I couldn’t blame them. I knew exactly how they felt. Once seated, a nice young man asked if I would like his aisle seat, but given the short duration of the flight, I just figured it was more trouble than it was worth. I had bigger worries. I clenched my teeth, bracing myself for a true test of parental patience, the pressurization of the cabin and take off. That moment tends to be the test of a baby’s future airplane behavior. But, to my surprise and great relief, Rocco was a complete angel. The relatively short flight to San Francisco was uneventful. I don’t think he cried even once. 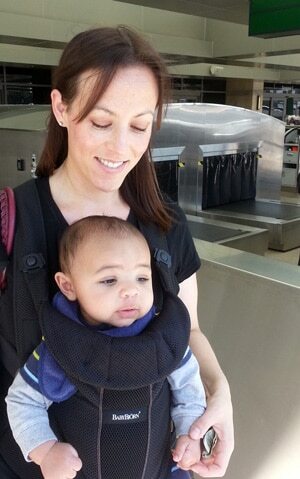 Upon arrival, the pre-flight scowls turned into praise from all of the people around us for Rocco’s good behavior. I get it. A crying baby piles on even more discomfort to the growing misery that air travel has become. This flight juxtaposed my pre-baby and post-baby self: the discomfort of being forced to listen to someone else’s crying baby, up against the anxiety most parents feel from their child being the cause of it. Also, I can’t understate the pressure and desperation felt when trying to quiet a crying infant while others look on with disdain. That, however, is what I signed up for. I choose my choice, and now my skin is a little thicker. Rocky’s return flight wasn’t as smooth as the first, but it wasn’t too bad. I still believe too many parents use “you’ll understand when you have kids” as parenting cover, but I am definitely more empathetic in certain situations.